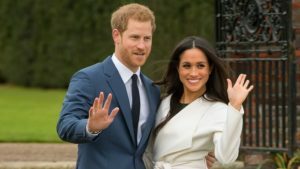 How will Megan and Harry’s wedding seen as change in today society where a person of colour has so much memories of the emotional scars that their colour brings to them. The Union of Harry and Meghan in the royal family signifies change. A change in the way we recognise the importance of the beauty that colour brings to this world. We have colour in all way aspects of what makes beauty on planet earth. When you look at flowers they comes in many different colours, what about the fishes in the sea, birds all represent a mixture and when combine is natures beauty. This is one of the greatest ways to celebrate the recognition that black is beauty and bring colour to this world. When Obama became president and completed his presidency we all agree that there is no indifferences in intellectual abilities regardless of your colour. 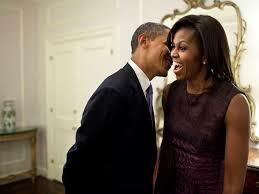 Obama presidency is a celebration especially with beautiful Michelle. But when we get Megan on a platform watched by the world then we get not only intellectuality but we get a show case of beauty and equality. I for one feel very proud today to watch the wedding and to know that I live through this period. “For some, the answer is clearly yes — seeing a woman of colour walk down the aisle in St. George’s Chapel will be momentous. But a new family member doesn’t change the nature of the institution — the monarchy is rooted in deep inequality and fuelled by wealth built on hundreds of years of bloody imperial reign, not to mention the slave trade. That’s not just part of a distant past — it’s central to understanding the monarchy today”. “It’s brilliant. This wedding represents modern Britain,” says nursery manager Saba Abay, 30. Four months ago, Prince Harry and Meghan Markle visited Brixton, which is home to Britain’s largest African-Caribbean community, in their second official engagement as a couple.